← Nifty Networking in 2013? Or MeetUp Mayhem? You kids crack me up! Now most of you know that I do not identify with any political party, despite my last name taken in vain daily; but rather focus on the way the media and others attempt to manipulate the consumer/voter in Canada. I am of an age where I spent most of my developing years with Pierre Trudeau as Prime Minister. In fact I met him and his boys on several occasions once we moved to Ottawa from Halifax. I spent significant time with mother Margaret outside of the political realm as well. Probably nothing so significant that they would remember, but frankly the family was a presence in my life. I have enjoyed the lighthearted warm approach that was taken by Justin (insert giggles at boxing match here). Go Youtube! Go Youtube! What is really amusing me right now is the obvious preparedness of the other political parties in anticipation of Justin winning the leadership position for the Liberals. 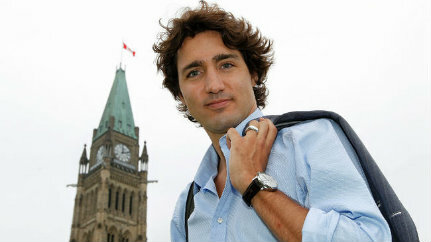 The very second he was voted in the opposition pounced with their American style Justin bashing ads. Clearly these were ready and in hand. So even they knew he would win. Do you think they prepared other ads for whoever they were? Justin Trudeau is not the first “inexperienced” politician in Canadian History. There is power in the ability to have Canadians listen based on great branding. If he messes up he will be ousted just like anyone else. He is good business (fundraising) and PR for the party. Political bashing is from a place of fear and weakness and Canadians are rarely fooled. Unique campaigns win elections regardless of content. Positivity is powerful no matter the issue. If you have to bash someone’s hair-do in a political battle you obviously have no real argument. I may have to change the name of this blog because it might not be funny or relevant in the near future; but it’s been fun so far. This entry was posted in Communications, Media Impact, politics, Uncategorized, What People are Saying and tagged advertising, corporate strategy, federal, Justin Trudeau, lucia harper, marketing, public relations, reputation, social media. Bookmark the permalink. Was listening to CBC the other day. They interviewed a guy who was reviewing those ads. He said that Trudeau was a good looking guy, and was not offended by seeing him in an undershirt. He ended his review by saying: “I will leave this last image with you…. who would you rather see in his undershirt – Justin Trudeau or Stephen Harper? Ick. Watched Justin take the throne at the Liberal Leadership convention last week. He IS theatric, and he is also getting noticed. Nifty Networking in 2013? Or MeetUp Mayhem? THE Politically Correct SEASONAL GREETING…..